You should have received the registration card pictured to the left with your self-closing gate MagnaLatch. Click here to register your MagnaLatch with D&D Technologies. 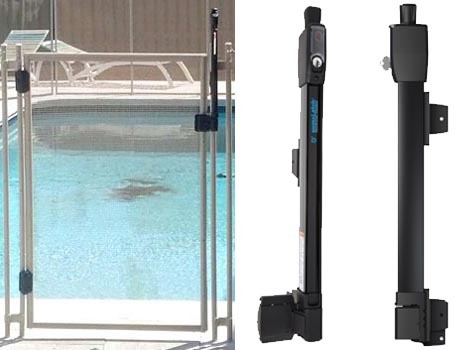 Please note that the MagnaLatch is warrantied by D&D Technologies and the Baby Guard Pool Fence is warrantied by Baby Guard. You will need to register each product separately. 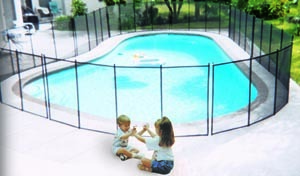 If you need to register your Baby Guard Pool Fence, please click here to do so. The new MagnaLatch Series 3. It's the safest, toughest MagnaLatch yet. MagnaLatch Series 3 includes a new visible lock indicator, 6-pin re-keyable security lock, vertical & horizontal alignment indicators, and much more. It's been tested to 2 million cycles and it's 50% stronger than before. Simply put, it means you can recommend and install the new MagnaLatch Series 3 with confidence knowing that it's the world's #1 child safety gate latch. Manufactured and continuously tested in our own facilities, under ISO9001 quality standards, MagnaLatch consistently provides the highest level of quality and performance available. Quality is never outsourced at D&D! More information at D&D. REPLACEMENT GATE KEYS. If you have lost your key or need a replacement, D & D Technologies offers 2 keys free of charge as a courtesy to their customers. 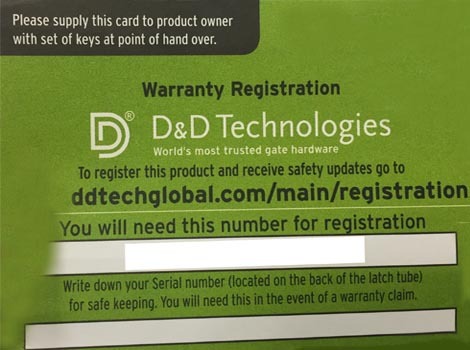 Click here to request your free keys from D & D Technologies.